If you are one of the millions of households who happen to have a dog or cat family member then you have undoubtedly dealt with a potty mess or two on the carpet. It usually happens in the worst spot, in a high traffic area that everyone who visits can see. If you happen to be lucky enough to get there right away you can sometimes clean it up before it has time to really set in. But what if it happens when you are away or just not paying attention? You need to have a way to get your carpets clean even if it is long after your pet has soiled the floor. 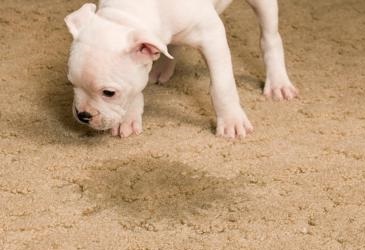 Here are 4 tips that can help you remove pet urine or feces stains, even if they happened long ago. The very first thing you must try to do if the area is still wet is to blot the stain as dry as you can get it using paper towels. Be careful not to forcefully rub it into the fibers of the carpet as this will cause it to spread down, making removal much more difficult. Gently pat and blot it until the entire area is mostly dry. You will notice that much of the urine has actually been removed but not all of it. Just keep patting it until you are ready to move to step 2. 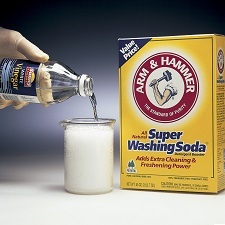 The first cleaning agent you will want to use is vinegar. A good way to get it ready is to mix it together with water in a bucket, and try to mix it around 50/50 or half water and half vinegar. Once the mixture is ready you need to soak the stained area thoroughly with it. Vinegar will actually neutralize the ammonia that is present in dog and cat urine which initially cuts down on the smell. It also gets the area wet again, in preparation for the next step. Take some time to scrub it down well with the vinegar/water mixture, getting deep into the carpet’s fibers. And if the stain is particularly bad then you can use more than 50% vinegar. Now that the spot is wet from the mixture, put some baking soda all over it. You will almost immediately see (and hear) it spring into action. You will hear a lot of fizzing and see some bubbling which is a great indication of just how well it is working. The baking soda is working with the mixture to decompose the urine or feces. Work it down into the rug just like you did in the prior step and once it looks like it is completely covered let it dry. It might take a few hours or even overnight, but give it enough time to really work. After everything is dry it is on to the final step. Now that it is completely dry vacuum up the baking soda from your carpet. The stain should be completely gone and your floor should look just like new. Make sure you use your vacuum cleaner thoroughly to pull everything out of the deepest fibers. You don’t want any odors or particles left over as that would attract your pet to the area, inviting them to soil it again. 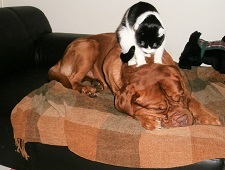 Owning a pet is a rewarding experience for any family that decides to do it. Pets bring a great deal of joy into any home but there can be occasional challenges that come with this. One of the biggest is keeping them from going to the bathroom on your flooring, especially rugs. When this happens, and it will, you need to have a plan to get the stain up. By using a little bit of vinegar and baking soda you can quickly get your carpets back to looking like new. It may take a couple of times to get it perfect but once you know how to do it you will easily remove those stubborn urine stains that your pets leave behind.